How do I start the first level? Tap the island that is lit up and you will start that level. How do I make the hero move? The hero automatically walks forwards and backwards. You need to solve the puzzles to allow him to walk across. How do I bridge the gaps in the hero's path? ARise uses perspective. Line the blocks up near a gap to make it look like the gap is filled. To help you do this there are half circular runes on both the bridge block and main path. The runes match up and will glow if you are successful. Hold the block in place while the hero walks across. If you move the block, the hero will be reset to the start of the gap. Are there other types of puzzle? Yes there are. They still generally require the player to line objects up visually. The hero will usually have a little icon that will help you find the solution to the puzzle. 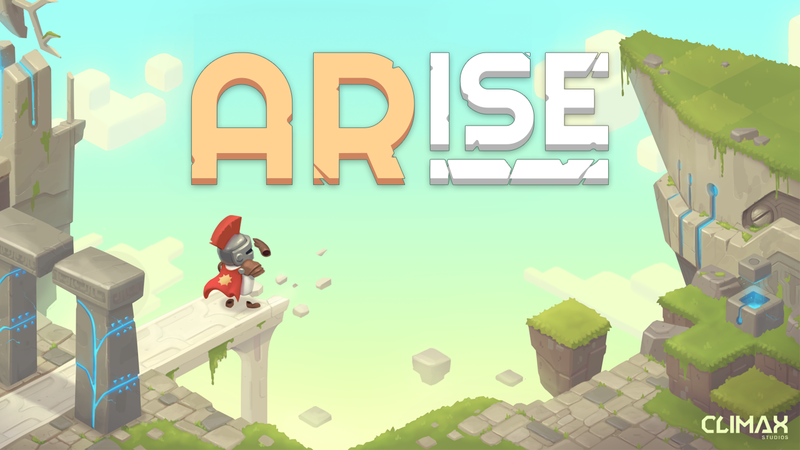 ARise doesn't work on my iPhone or iPad. Please make sure you have an ARKit supported device. I'm really stuck. What should I do? We are sure there will be play through videos appearing in the coming weeks online, but remember it is a puzzle game and some of the puzzles are meant to be really hard to solve. Is there a way of rotating the level so I don't have to move? Yes you can rotate the levels by placing your finger on it and swiping it left or right. We are working hard to produce more levels and will release them as soon as we can.